I had planned today on writing a sequel to my weekend post on spondylolysis, and I will definitely do so later this week. But I have hockey on my mind this morning. Our local team, the Columbus Blue Jackets, fought valiantly this shortened NHL season, and came within a whisker of the playoffs. The team I grew up with, the Detroit Red Wings, have moved on to the Conference semi-finals, and so if I have any skin left in the game, it is with the Wings. The Maple Leafs: deflated at the end of a heartbreaking game. Somehow, the Maple Leafs went from leading 4-1 to losing 5-4 in overtime, as the Bruins, playing at home in Boston, achieved one of the more memorable comebacks in NHL playoff history. As this was happening, my Twitter feed exploded with #bruins and #leafs posts, as two cities were collectively either shouting with joy or gnashing their teeth. If you’ve never ‘watched’ a sporting event via Twitter, I commend the experience to you: it’s a bit like tapping into the collective consciousness of whatever group your following. 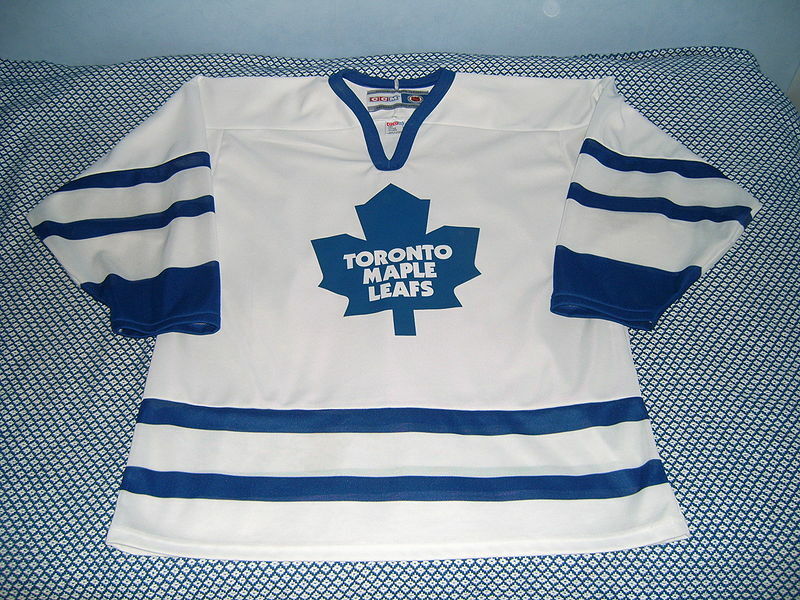 And so, before I move on to a more sober assessment of hockey and clinical research, I most definitely want to send my congratulations to Boston and my condolences to Toronto: two great cities, with two great teams, who played a fabulous series. We here in Columbus hope to join you both in the playoffs next year. The authors of this youth hockey study hail from the University of Calgary in Alberta, and they took, I thought, an interesting approach to assessing risk for injury in these athletes. In the study’s introduction, the group reviewed the various known factors associated with variable rates of injury in youth hockey. They note that previous injury is one of the strongest predictors of injury, and increasing age and skill level are associated with higher rates of injury. Size differential seems to matter, too, especially in leagues that allow body checking, with smaller players at higher injury risk than larger players. The authors go on then to explain their intent is to explore psychosocial and behavioral factors as potential indicators of injury risk. 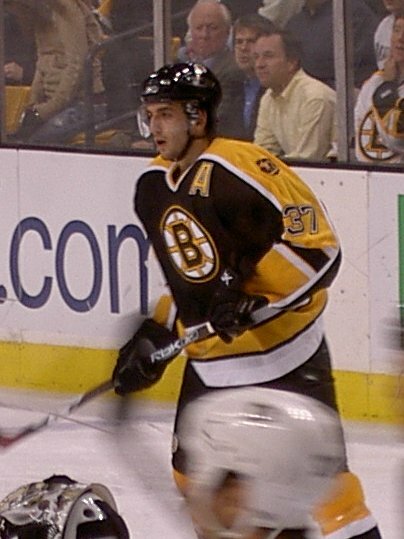 They focus in their study on three such constructs: athletic identity, attitudes toward body checking, and ‘state anxiety.’ Using a cohort design involving 316 athletes whose median age was 15 years, the authors then set out to measure these constructs in a sample of youth hockey players and the effect these same attributes might have on injury rates. 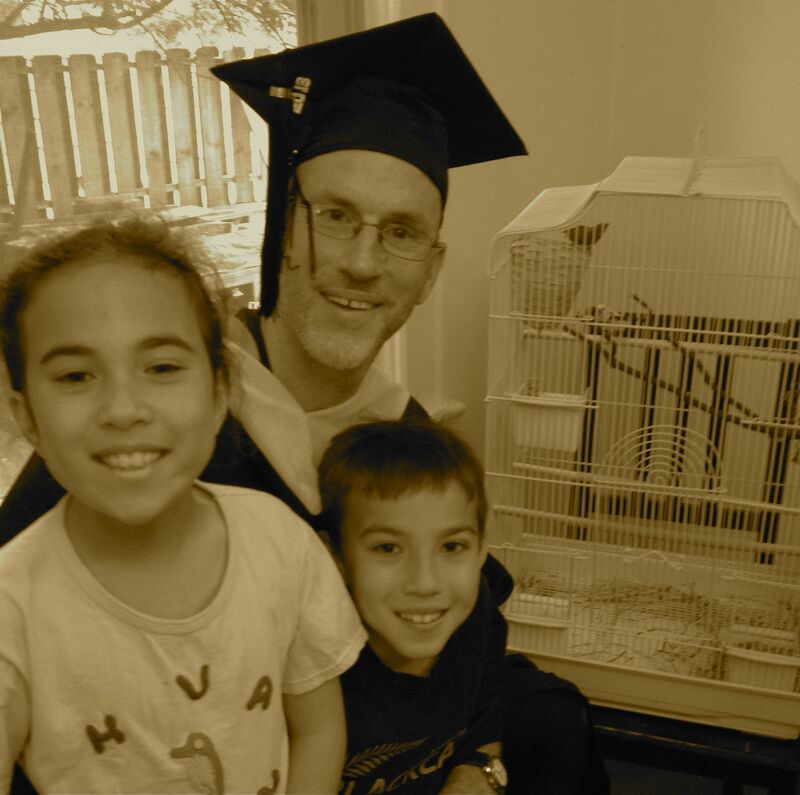 The author, with his Master’s gown, two children, and birds Ziggy and Iggy. It’s time to take a step back here, and spend a moment looking at how these psychosocial constructs might be measured. The subject of “Patient Oriented Outcome Measures” (PROMs) has become a subject increasingly dear to my heart as a sports medicine clinician/researcher. I have just completed my M.P.H. studies and my thesis was on “An Evaluation of the Micheli Functional Scale, a Novel Patient Outcomes Measure, In a Pediatric and Adolescent Population with Back Pain.” This is something I will be submitting for publication soon, and I hope to talk about eventually in this blog. PROMs are tools used both in clinical trials and the clinic setting where responses to questions are collected directly from the patient. They have been used in clinical research trials for many years and, in some circumstances, are increasingly being used in the clinic setting in the treatment and management of disease states. Our friends in the blogsphere at Sports Medicine Research have an excellent listing of PROMs that sports medicine clinicians/researchers might want to review. In the CJSM article on youth hockey, the authors used three such instruments in the measurement of their psychosocial constructs: the Athletic Identity Measurement Scale (AIMS), the Body Checking Questionnaire (developed by the Calgary group itself), and the Competitive State Anxiety Inventory-2R (CASI-2R). These first two PROMs were filled within the first three weeks of the season; the third PROM was completed within 30 minutes of game time (to reflect anxiety state associated with competition). The primary outcome they measured was injury as defined by meeting three criteria: an event which required medical attention; cessation of participation in the current sporting event; and loss of at least 24 hours of playing time. They then calculated injury Incidence rate ratios (IRR) to estimate the association with potential physical factors as well as the three psychosocial factors noted above. They ultimately tracked the first injury and one, if any, subsequent injury an athlete may have in any one season. The findings were somewhat complex as well as intriguing. The authors divided the results of the three PROMs into quartiles, and analyzed IRRs in relation to the quartiles of the PROM scores recorded by athletes (i.e. the authors set out to see if, say, the top quartile of athletes enthused about body checking had higher rates of injury). To cut to the chase, the authors found that attitudes toward body checking and competitive state anxiety did not have any association with increased or decreased IRRs for either first or subsequent injury. However, for ‘athletic identity,’ the group found that the athletes who scored in the 25th percentile (or below) for the AIMS had higher rates of initial and subsequent injuries, with 95% CI for IRR being (1.05 – 2.22) and (1.01 – 6.04) respectively. The way I would interpret this result is to note there is a negative correlation between athletic identity and injury rates, with athletes highly invested in their athletics having lower injury rates, and those with low AIMS scores having higher IRRs. In some ways, this may seem initially counterintuitive, but the authors argue that “Those with strong athletic identity place more emphasis on continuing sport participation and may therefore employ more injury prevention strategies….” I wonder, too, if those with high stakes in their athletic identity may be less prone to even present to the team Athletic Trainer or report injury; they may simply not want to miss any playing time. The findings of no association with body checking attitudes or competitive state anxiety were unexpected. It seems that in previous studies attitudes toward body checking have indeed been associated with increased injury risk, and state anxiety has been predicitive of injury. The authors discuss these unexpected findings in their paper, and I would encourage readers to check it out in CJSM. As I leave off the reading of that article and the writing of this blog, I am intrigued by the use of the PROMs and am eager to see if, say, there is a study looking at the correlation between athlete identity (AIMS) and a specific injury like concussion. I would suspect there is, but if not, that is a study which most definitely needs to be done! Hey, maybe it’s time to contact my IRB? 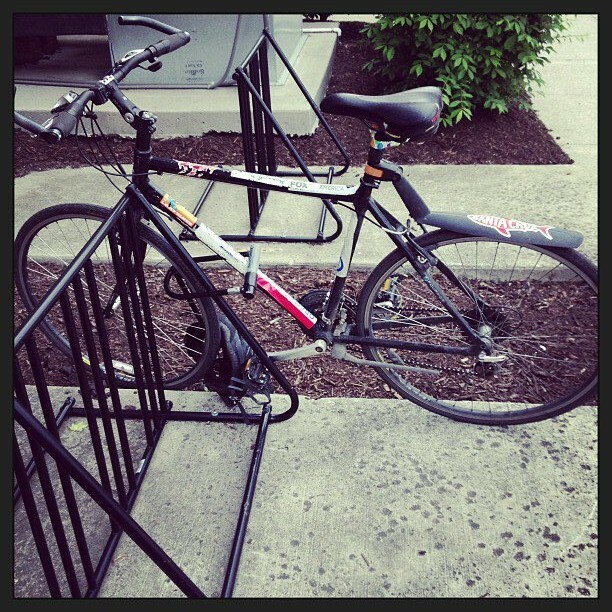 But first, it’s Bike to Work week here in the States, and it’s time to get on my trusty steed and head off to work. I hope you have a chance to pedal to work this week, too.